AU, Summit slated for November 29 and 30. The President was received at the Houphet Airport by Ivoiren President Alassane Ouattara. Those on the President’s entourage include governors Emmanuel Udom of Akwa Ibom and Mohammed Abubakar of Bauchi State, Asiwaju Ahmed Tinubu, as well as some ministers. The Minister of Foreign Affairs, Geoffrey Onyeama, led the Nigerian delegation to receive the president at the airport. 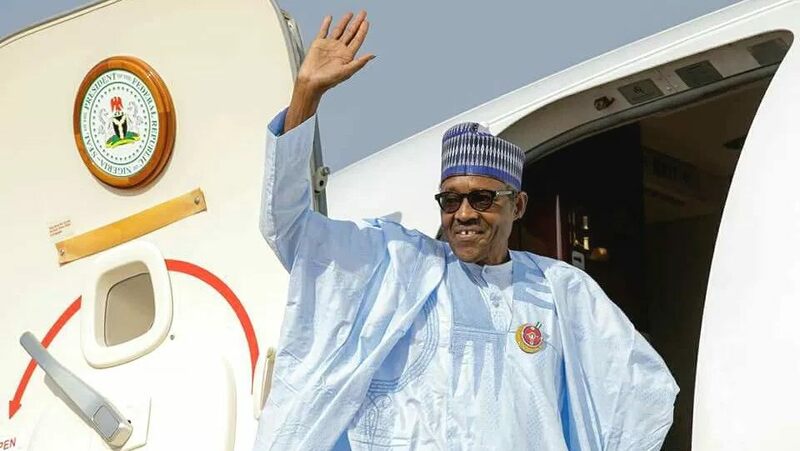 The President of African Development Bank, Akinwunmi Adeshina; Ministers of Youth and Sports, Solomon Dalung; Minister of Interior, Abdulrahman Dambazzau; and the National Security Adviser, Babagana Munguno; also welcomed the president at the airport. Others at the airport included Nigeria’s ambassador, Ibrahim Isa; Senior Special Assistant on Diaspora Affairs, Abike Dabiri-Erewa; and some embassy officials, as well as representatives of Nigerians resident in Cote d Ivoire. He said that on the margins of the summit, Mr. Buhari would meet with a number of African Heads of State and their EU counterparts.